In order to be successful in the modeling or acting world, you must familiarize yourself and be comfortable with auditions. Everything you have worked towards starts with an audition. The good news is that the entertainment industry is constantly shifting and looking for new talent in today’s world filled with new TV shows and movies. The bad news is the competition is stronger than ever, so you have to work extra hard. It is good to apply to many auditions, but the real trick is finding an audition that you are best suited for. However, because there are so many different outlets for modeling and acting, you can surely find auditions for all kinds of work right in your area. In the past, many people relied solely on agencies to find auditions, or they read trade magazines to find open casting calls that they could attend. While these methods might have worked in the past, nowadays there are faster alternatives. The Internet is your best friend in finding the type of work that you are looking for. Not only do many places post casting calls for models and actors on their websites, but you can check their social media for more frequent updates right at your fingertips. It is also important to obtain professional contacts in the industry that will lead you to more upcoming auditions. Before you actually go on the audition, you want to prepare yourself. Take a close look at what exactly the casting directors are looking for. You should also research background information about the designer, photographer, theater company, director or show you are trying out for so you have some basic information. Try to get a good night sleep before the audition so you will be at your best for the performance. Unless the audition calls for a particular outfit, you are best off wearing something neutral and comfortable. When you arrive at the audition location, it is likely that other actors and models will be there are as well. Try to stay focused on yourself and don’t worry about others or compare yourself to them. You can only control how well you personally do, so don’t focus on anyone but yourself. 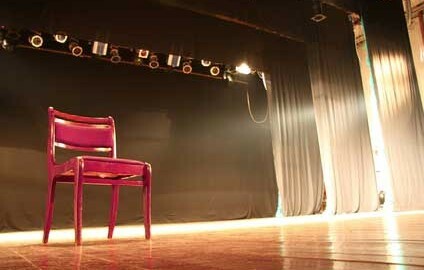 When you enter the audition, be courteous, friendly, and confident. Make eye contact with the people you are auditioning for and be yourself. Once your audition is done, thank the casting people for their time. Keep in mind that they are going to have to reject a lot of people that day, so if you are rejected try not to take it personally. No matter the outcome, each audition is good practice for you in gaining experience in a tough industry. You will learn more about yourself as an actor or model and you will get the opportunity to meet many people in the industry this way. Progressing in the modeling and acting industry is going to be challenging for you at first. You may have to start out with smaller roles or smaller modeling shoots, but all of this will allow you to build up a portfolio and resume that will open more doors for you. It will also give you the chance to develop a reputation in the industry and a bigger following. It is important to remember that you can accomplish the goals you have set for yourself no matter what age you may be or what stage in your career you may be at. It all comes down to taking the right approach and working hard to get there.